. : God Adds Meaning to Everything ... Even that Comfy Wool Sweater! This is coming from the girl who thinks that the Lord is trying to tell her to leave Target immediately, it's just not His Will for her to be there, because that super cute dress is not in her size. "There must be some supernatural meaning behind this!" screams my mind. Ok, that may be a little dramatic, but there has to be a spiritual connection between the our passion for stylish clothing and fancy food and our desire to be close to God and our Christian sisters. What do we always spend the first 10 minutes of our Bible studies doing? Talking! Many times about our everyday life, the seemingly mundane but actually pretty important things that only us girls can understand. We crave that spiritual fellowship and often bond over the material. I back this up with the fact that a good portion of our passage on the Virtuous Woman deals with the everyday, material things that make up every woman's life. We know Jesus can take the material and turn it into something spiritual. He can take the seemingly meaningless and make it glow with His purpose. And what man can defile, He can use to cleanse our hearts. In my mind, I picture this as the antiquity version of dressing your children in T shirts from Bible camp, hanging Bible verses in your home, or wearing a Cross necklace. It's an unspoken statement of where your belief and hope lay. I believe this woman knew what that symbol of sacrifice meant, that her sins and the sins of her family were covered with the scarlet blood of that little lamb, just like our sins are covered with the scarlet blood of The Lamb, and because of this she has nothing to fear! Gomer represents a woman obtaining material needs, the same commodities that the Virtuous Woman sought, by ungodly means. Instead of seeking these things for the good of others, Gomer was given them for selfish gain and to the hurt of her husband and children. Instead of willingly working for her goods, Gomer exploited herself to gain easy access to the things she desired. Bread represented Jesus' body that would soon be broken. Wine represented His blood that would soon be spilt. Spices would soon be brought to Jesus' tomb to anoint Him, but He was not there! Yes, His body was broken, His blood was spilt, and He was laid in a tomb. But He rose from the dead, He conquered death and, just as death couldn't keep Him, sin doesn't have to keep us. So let the Lord turn your material things into spiritual things. Let Him make what you deem meaningless and make it glow with His purpose. Give Him what the world has defiled in your life and let Him cleanse it. Let Him cleanse you. Now go forth and over-spiritualize! 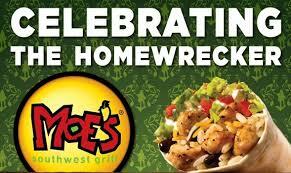 Cool Story: As I walked out of Moe's I was livid that they messed up my order. "Hello, how hard is it to NOT put black beans on my burrito?!" was my un-Christian thought, and possibly words, as I hurried back to the Christian conference I was attending, a free burrito in my purse. That night I walked past a homeless man. My first thought was "Stranger danger!" and my next thought was, "Wow, I just left this crazy cool conference and learned all about God's love and desire for justice. Maybe I should talk to this guy." Then I remembered that black bean-laden Homewrecker in my purse... I was really convicted about my small circle of awareness and uncanny ability to take material things for granted. I approached him and gave him my former source of anger and saw the joy on his face. I asked him some questions, then we prayed together. As we finished praying I opened my eyes and looked behind me. There was a line of young adults waiting to give this man something. Yes, we were blessing this man with material things, but what brought more joy to his face was what we were giving him spiritually. Never underestimate the power of ministering to someone's material needs. And never miss the opportunity to use those needs to connect with someone spiritually. I thank God for that man and giving me that moment with him! God moments. Brought to you be the Homewrecker.